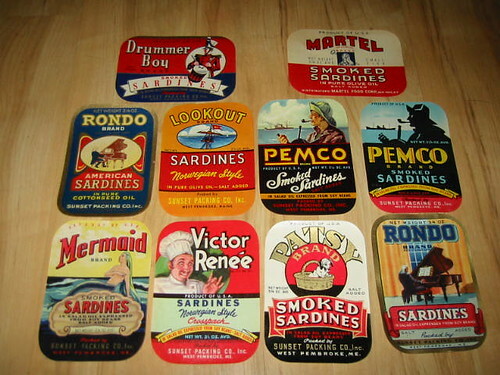 10 Old 1940's Sardines Can Labels - 9 of the 10 are from Sunset Packing Co. - West Pembroke Maine. 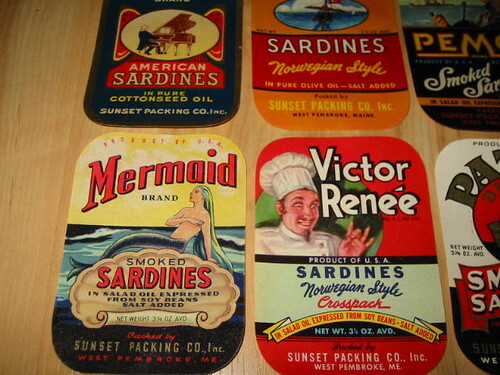 One is from Martel - New York. 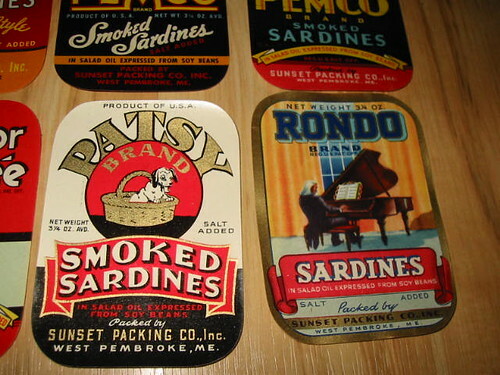 I'm so happy that we live in a time when I don't have to eat "puppy in a basket" sardines, or "piano guy" sardines, or "spooky devil-chef" sardines.